Adrenal Fatigue, Cortisol, and Yeast Infections - YeastInfection.Org by Eric Bakker N.D.
A problem I used to encounter in my early days of treating those with chronic yeast infections who were adrenally depleted is that those patients with major adrenal fatigue were not able to readily handle treatment aggravations or die-off (Herxheimer reactions) without having severe reactions. Their bodies were simply not able to cope with any kinds of aggravations, apart from trivial or very minimal, and these were the patients less likely to return for a return visit. Immune resistance certainly declines as adrenal function goes down; this increases the chance of an aggravation when yeast infection treatment is commenced. This is something I had to learn by making many mistakes with patients in the early days, and it is a mistake I don’t want you to make! Either find a practitioner who knows how to recognize and treat adrenal fatigue or become enlightened yourself by buying Dr. Wilson’s Adrenal Fatigue book, then you can make up your own mind and request treatment when you recognize this all-too-common syndrome in yourself. 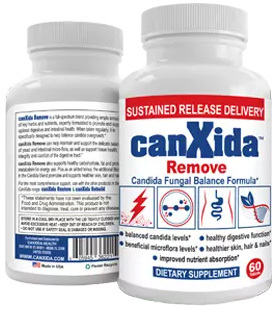 I have learned and don’t tend to have these kinds of violent reactions with chronic candida patients anymore, and if you carefully follow my recommendations as outlined in the Candida Crusher, you won’t either. But I want you to seriously consider whether you have adrenal fatigue or not, and if you can relate strongly to this part of the Candida Crusher book, then please speak with a practitioner who is familiar with Dr. James Wilson’s Adrenal Fatigue protocol, you will be glad you did. Once the adrenal glands become compromised due to stress, their ability to function optimally is impaired, and as cortisol output is decreased so is the adrenals ability to optimize the immune system. One of the most important hormones made by your adrenal gland is cortisol, a powerful steroid hormone that performs many different functions in your body. According to Dr. James Wilson, the world authority in adrenal fatigue, all of your body’s cells have a requirement for cortisol apart from your nails and your hair, but the cells which have possibly the highest affinity for cortisol are your white blood cells, your immune cells. In the initial stages of stress, the alarm phase, your body’s cortisol levels will tend to be elevated, but as your adrenal glands become increasingly depleted due to long-term low-grade stress, the resistance phase of stress, cortisol levels eventually become depleted, and eventually they may even hit low levels, the exhaustion phase of stress. One of the common symptoms we find in those with adrenal fatigue is recurring immune problems and poor recovery from minor infections. Those with adrenal fatigue also tend to have more problems with leaky gut syndrome, food allergies and all manner of digestive and bowel problems. Unfortunately, the doctor’s answer to many of these common stress-related complaints is a prescription for antibiotics, and this may lead to or further exacerbate any underlying yeast infection. So what do you do then? I have yeast right now. I tried treating it with some strong herbs and strong probiotics, which I know now was too much for me. I had HORRIBLE reactions, intense itching and a rash all over my body and neck and ears. Still have itching on my neck and private area and my legs. Well it can still be everywhere at times. I have made the correlation between cortisol and candida because it gets worse when I am stressing out about something, which led me to your article. I really am at a loss. I am a Vitamin Manager and have done everything I know to do. I’m so very tired of this and want to know how to treat it. Do I just focus on my immune system and adrenals then?? Thanks so much for your help! Brooke, check some of our videos on our youtube channel.